In November 2010, Manappuram Finance Ltd. hit the capital market with a Qualified Institutional Placement (QIP) issue to raise Rs.1,000 crores. The response was enthusiastic and the entire amount was garnered in a matter of hours. Later, in April 2011, the IPO of Muthoot Finance (another Kerala based NBFC dealing predominantly in gold loans) attracted bids reportedly worth more than 24 times the issue size of Rs.900 crores. As with the Manappuram QIP, some of the leading names of international finance were subscribers to the Muthoot IPO as well. There is no doubt that India’s gold loan sector has come of age. More and more people are shedding age-old taboos to borrow money against their gold jewellery making this one of India’s fastest growing businesses of recent years. And yet, even as the sector continues to attract media attention, it is easy to forget that things were not always like this... that even as late as 2007, few at the national level had heard of Manappuram or Muthoot, and fewer in the capital markets cared about gold loans. So, how did the change come about? How did an unglamorous activity carried on for ages suddenly manage to capture the imagination? Without a doubt, this story begins with Manappuram Finance Limited and its entry into the gold loan space in the year 1998. 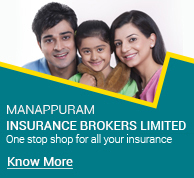 Manappuram Finance Ltd. was incorporated in 1992 (the original name was Manappuram General Finance and Leasing Ltd.) and came to the stock market with its IPO in 1995. The response was just about adequate. The company was focussed on leasing, hire purchase and general finance and the results were not encouraging. Towards the end of 1996, the CRB scam broke out and the NBFC sector in India was face to face with its toughest days ever. RBI came down hard on the sector and funding sources dried up. It was against this background that Manappuram Finance Limited decided to get into gold loans in a big way. In hindsight, the move turned out to be a masterstroke and a game changer. 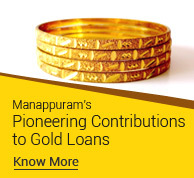 Historically, Manappuram had begun as a gold loan outfit and even after Manappuram Finance Limited was incorporated, gold loans continued in a limited way under the old proprietary concern. Thanks to this legacy, the nitty-gritty of the business was well known to its promoters. But even they would not have anticipated that this unprecedented entry of a corporate body into a traditional activity—so far the preserve of pawnbrokers and moneylenders operating in lanes and by-lanes—would go on shake up the entire sector, and create ripples in the national and international capital markets. As early as 1995, the company acquired the distinction of being the first NBFC from Kerala to go for a credit rating exercise when ICRA assigned a rating of "MA" to its then existing fixed deposit programme (discontinued in March, 2011). Over the years, the ratings have improved steadily and today it enjoys a long term rating of "AA-" from CARE. The short term ratings are, of course, the highest at P1+ from CRISIL and A1+ from ICRA. 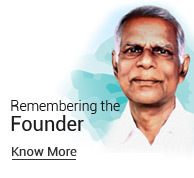 As the MD & CEO Mr. V.P. Nandakumar notes, "The decision to go for credit rating so early was motivated by a desire to build a culture that values transparency and credibility." In December 2007, Manappuram Finance Limited became the first NBFC in Kerala to receive foreign institutional investment when the celebrated PE fund Sequoia Capital invested Rs.70 crores into its equity together with Hudson Equity Holdings. Since then, the company has regularly received foreign investment. The second round of private equity funding in November 2008 was led by Ashmore Alchemy which, together with Sequoia and Hudson, put in another Rs.108 crores. Sizable foreign investment was also received during the two QIPS in 2010 when a total of Rs.1,245 crores was raised. The company’s management readily admits that the advent of PE investors has led to an improvement in the company’s MIS and risk management practices, besides toning up corporate governance standards. Today, credit is due to Manappuram not only for having marked the way but also for having delivered the performance that has whetted the international investors’ appetite for more. In the matter of technology, Manappuram Finance Limited was one of the earliest to adopt the “core banking” platform. This was no mean achievement considering that unlike the banking sector there were no ready-made software solutions for gold loans. It came about only because the company invested in developing its own proprietary solutions, and today its technology platform is one of its core strengths. The investment in technology has paid off in many ways, for instance, in streamlining procedures to reduce turnaround times in gold loan disbursal and in implementing advanced risk management practices. 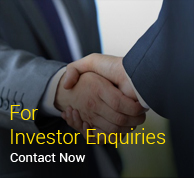 In the matter of product innovations too, Manappuram Finance Limited has led the way. Gold loans were for long sold as a “one-size-fits-all” product. The company was a pioneer in introducing variety, for instance, by offering progressively higher loan amounts at higher price points. 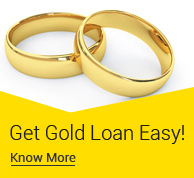 All gold loan customers borrow against gold, but their needs and compulsions can differ. Today, within the broad category of gold loans, Manappuram Finance offers many standardised products. And now, online Gold Loan: Having invested in an extensive network of 3,300 branches across India for delivering gold loans, Manappuram is now preparing itself for a future where brick and mortar branches become less relevant in a digital world. 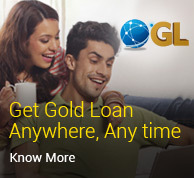 In October 2015, the company became the first player to launch its Online Gold Loan (OGL) where customers with access to an internet enabled device can avail a gold loan anytime, from anywhere in the world. The loan proceeds are instantaneously transferred to his bank account. Later, when the loan is repaid, the gold will continue to remain with the Manappuram branch for instant sanction of future loans whenever the need arises. The concept will now be extended further with launch of a co-branded debit card that would enable customers without access to bank accounts to withdraw the money from an ATM anywhere. Despite vast amount of gold in private hands in India, the gold loan business is yet to grow to its true potential. There is a continuing stigma attached to pledging gold. And so, rather than use their gold to raise money, many would still prefer go to moneylenders and borrow at exorbitant rates. Manappuram Finance Limited has been proactive in tackling this sensitive issue head-on. It adopted a strategy of a large-budget advertising campaign revolving around high-profile and credible brand ambassadors with a strong regional appeal, who talk to the masses in their own language and educate them about gold loans. The campaign, featuring stars like Mohanlal and Akshay Kumar, has been hugely successful in growing the gold loan category as a whole, and benefits have been reaped by players across the sector. At anywhere between 20,000 to 25,000 tonnes (World Gold Council’s estimate) India has the world’s largest stock of privately held gold. When gold is held idle in lockers and vaults, it is a drag on the economy that keeps billions of dollars in savings out of the financial system. Today, thanks to the example set by Manappuram, a host of new players were encouraged to get into the business. The commercial banks were also for a time very enthusiastic in promoting gold loans though, after the sharp pull-back in gold prices in 2013, that enthusiasm has waned somewhat. In the meantime, in 2015, the government of India launched its Sovereign Gold Bonds and the Gold Monetisation Scheme with the objective of drawing out gold and make it productive by getting it back into the financial system. In the days ahead, one can reasonably expect more of idle gold to emerge from our lockers and be put to productive use. And that will be owed, in part at least, to that initial lead given by Manappuram Finance. Further, there are efficiency gains that result when people are given access to credit with a minimum of hassle and no time wasted. 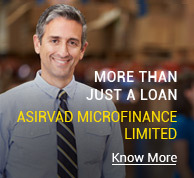 Gold loans are typically small ticket loans taken for short durations and thanks to Manappuram’s investments in technology and modern management techniques, they are now a source of “instant credit”. To the tens of thousands of ordinary people who depend on their labour for livelihood, this is a blessing. 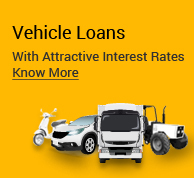 After all, there is an opportunity cost in trying to get hold of loans where the effort in obtaining the same involves sacrificing your wages and earnings for two, three or more days. As the gold loan NBFCs expand their reach, they displace the unorganised sector—neighbourhood pawnbrokers and moneylenders—and effectively push back the frontiers of the parallel economy. This is a service to the economy whose major beneficiary is the government. For instance, in fiscal year 2015-16, Manappuram Finance reported a profit before tax of nearly Rs. 550 crores of which Rs.193 crores was transferred to the government as corporate income tax. A year before, the company had paid Rs.142 crores as income tax out of profit before tax amounting to Rs.414 crores. Had business remained in the hands of the unorganised sector, the government would not get anything. For all the visibility, this is no time for India’s gold loan NBFCs to rest on their laurels. In relation to the country’s vast stock of privately held gold, the gold loans market remains underpenetrated. Moreover, gold loan customers are still largely drawn from the lower socio-economic classes. The wealthier sections, who also own large quantities of gold, generally stay away. For the economy to derive full benefits from the monetization of gold, it is necessary that the idle gold belonging to the upper strata is also unlocked. This is the new challenge that the gold loan NBFCs are up against. With Manappuram launching Online Gold Loan (OGL), there are welcome signs that gold loans are gaining increasing acceptability among the well-off. The process must now be taken forward.